The Coca-Cola Arena, Dubai is the first and largest fully air-conditioned, multipurpose indoor arena in the Middle East and the only arena to operate year-round in the region. With a capacity of 17,000, the Coca-Cola Arena has the capability to host major international touring artists, a full range of sporting events, family entertainment, comedy shows, exhibitions and gala dinners because of its highly adaptable design which includes a rolling modular stage, automated drapes and a retractable seating system that creates more intimate spaces for smaller-scale events. The Coca-Cola Arena is equipped with a state-of-the-art sound system and almost 400 square metres of modular and ribbon LED screens. The roof structure can support 190 metric tonnes of production equipment meaning the biggest and best shows in the world can be easily accommodated. The entire façade of the Coca-Cola Arena is equipped with an LED strip light system that illuminates the surrounding City Walk neighbourhood at night and changes colour depending on the action inside. 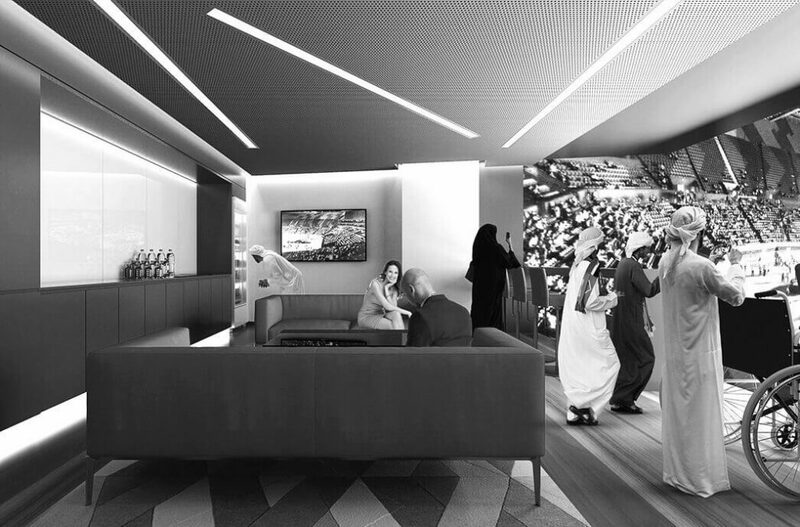 The Arena also includes 42 corporate suites, which raise the bar for corporate entertaining in the region. Situated within the urban lifestyle destination of City Walk, the Coca-Cola Arena is owned by Meraas and operated by AEG Ogden, part of Anschutz Entertainment Group (AEG), one of the world’s largest entertainment groups. Managing more than 120 of the world’s premier venues and playing host to the world’s greatest performers, AEG’s absolute priority is to exceed the fans’ expectations. 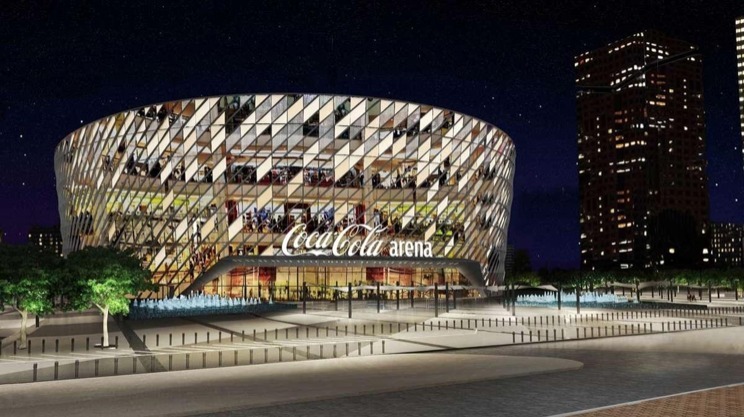 The venue, previously known as Dubai Arena, officially became the Coca-Cola Arena after Meraas signed a ten-year deal with the The Coca-Cola Company, which includes exclusive naming rights for what is set to be Dubai’s first and largest indoor, multipurpose arena. We are proud to have a company of such worldwide renown as Coca-Cola taking on the naming rights for the arena in the long-term. This agreement with The Coca-Cola Company is also a clear demonstration that Meraas’ continued efforts to transform the urban landscape of Dubai and move with the emirate into the future as a modern, creative, culturally and economically diverse place to live, work and play are coming to fruition. AEG Ogden’s vision for the Coca-Cola Arena is to provide a state-of-the-art multipurpose indoor arena with impeccable management to establish it as the region’s premier entertainment and sports venue for UAE-residents and tourists. To achieve this and to drive inbound tourism, the focus must be on securing premier events, delivering world-class branding and marketing, the very best practice’s, customer service and operating efficiencies. The Coca-Cola Arena, slated to open this June, is the only air-conditioned indoor arena of its kind between Istanbul and Singapore, which is set to bring the best international music concerts, sporting events and family shows to the region all year-round, even in the hotter summer months making it the only dedicated home for entertainment in Dubai and will see shows that appeal to a wide range of nationalities and cultures. ASGC is delivering the project under a design and build contract, with Dar Al Handasah the consultant. The Coca-Cola Arena isn’t the only new sports venue planned for the city either, with the 60,000-seat Sheikh Mohammed bin Rashid Stadium designed by Perkins+Will in the planning stages. The Dhs3 billion stadium – pictured below – will be fully air-conditioned, with facilities including exercise pitches, a sports training hall, a 5,000-capacity car park, a sports museum, a multi-purpose hall, as well as conference and exhibition facilities. Increasing revenue through new builds, renovations and service expansions is the key focus of ALSD International, Europe’s leading event for the Premium Seat and Hospitality sector, at which AEG Europe’s SVP Facilities, Richard Krezwick, and AEG’s Michele Kajiwara, Senior Vice President Premium Sales at STAPLES Center, are just two of a host of industry expert speakers from across Europe and North America that will be sharing invaluable insights during the high-level conference, being held at Croke Park Stadium this October, 28-29.